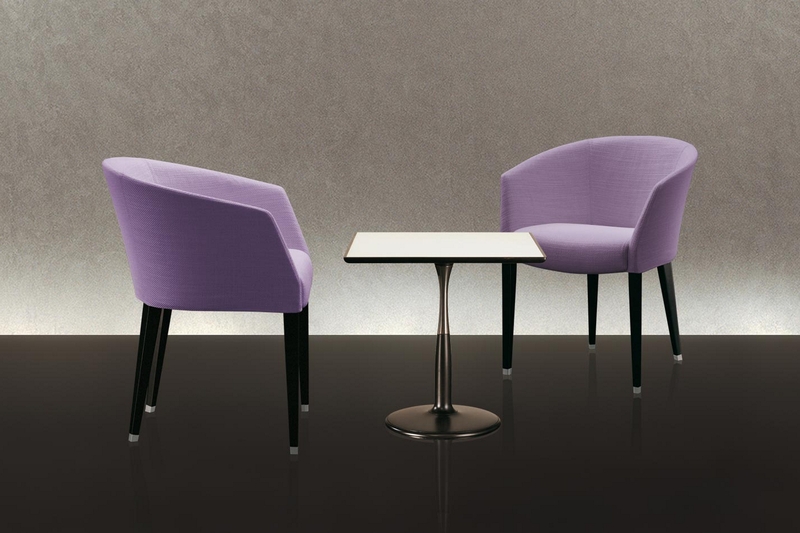 Margot is a classic armchair with the frame in solid beech wood and the seat frame in curved plywood. Seat and back paddings are in expanded polyurethane, covered in fibre. The legs are in solid polished beech wood equipped with foot-caps in satin-finished aluminium. The covering is available either fabric or leather, completely removable.